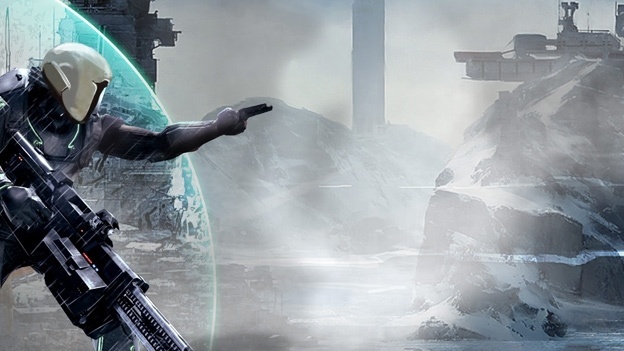 Bungie’s new sci-fi shooter MMO will not be due for release this year, after Activision, the publisher, told reporters that the Destiny release date would not be coming any time in 2013. Activision told reporters that the Destiny release date was not included on their annual outlook and “there should be no speculation or expectation of a different result”, shutting down all possible rumours and leaks on the matter. This is unsurprising, considering the game has only just released its first teaser. We believe Activision is going to throw a lot of money at the marketing campaign for Destiny. We expect to see Destiny at E3 and other conferences this year, despite the Destiny release date lurking around 2014. Activision also reported that Destiny would be available on “the Xbox 360® video game and entertainment system from Microsoft and the PlayStation®3 computer entertainment system, as well as other future console platforms”, which we suspect means the PS4 and Xbox Durango. Many news agencies were claiming that the Destiny release date would fit in line with the next gen console release date, but it seems that Destiny will not be a next gen launch title. Both the Xbox Durango and PS4 are expected to launch 2013 Q4. Not much is known about the game, although early reports say Destiny has a new development in the multiplayer design, that will work a lot like Journey. This means people will randomly join already running servers. Other rumours say the game will function much like a common MMO, in which the user goes on quests and can also battle different players and NPCs. This is a very new development for consoles and one we are excited to see executed properly. The Destiny release date may hit a few big Bungie fans hard, but in general it shows that the development is still in early stages and there may be a huge amount of new content and development in design before the final Destiny release date.